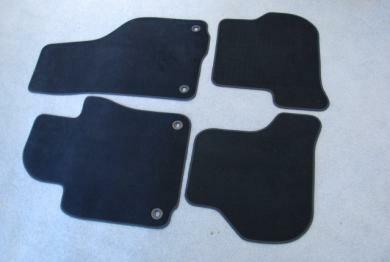 4 (front and back) black carpeted floor mats. Originally purchased with a 2007 VW GTI, but may fit other VW models/years? They have never been used and are spotless. Asking $75 or best offer.